It was a red coat that caused Abigail Harkness and her husband Daniel to be shunned from their local Quaker community. 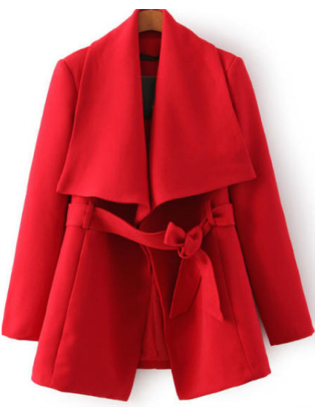 In an era when a “proper” woman was expected to both behave and dress with modesty, gentility, and aestheticism, Abigail’s red coat signified “worldly clothing” and, in the eyes of many, was neither modest nor proper. When her husband Daniel refused to apologize for her coat, the Harknesses were expelled from the flock. How grateful we are as a denomination for the delegates (clergy and laity) who courageously and outrageously followed the Holy Spirit’s leading to affirm that God does, indeed, call women to serve as pastors, preachers, shepherds, teachers, and leaders in the life of the Church and for the sake of Christ. Over the past 60 years, there have been many faithful women clergy to continue to pave the way with courageous leadership, including: Marjory Swank Matthews (the first female to be elected as bishop in 1980); Leontine Kelly (the first African American female to be elected as bishop, 1984); Charlene Kammerer (the first female bishop to be appointed to the WNC Conference, 1996); and so many others. In honor of Georgia Harkness’ legacy and that of many other women theologians who have followed in her footsteps, the women of Garrett Evangelical Theological Seminary carry on a tradition at commencement of wearing red shoes, as a symbol of boldness and courage. In fact, Bishop Kammerer, herself a graduate of Garrett, was known to carry on this tradition during her leadership among us! From a liturgical perspective, of course, the color red signifies the presence and the power of the Holy Spirit. We claim that same Holy Spirit power when any person, male or female, kneels before the bishop at ordination. A red stole was then draped over your shoulders, signifying the yoke of ministry that was being entrusted to you, clothing you with the power of the Holy Spirit. In the sixty years since granting the right for women’s ordination in the UMC, the church’s witness in the world has been enriched by the unique gifts, voices, experiences, and graces of women and men in ministry together. We clergy leaders and laity are serving in a time of great change in our world, in our denomination, and in our local churches. [i] Rosemary Skinner Keller, Georgia Harkness: For Such a Time as This (Abingdon Press, 1992), 33-35. 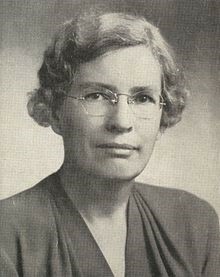 [iii] Georgia Harkness, The Resources of Religion (H. Holt and Company, 1936).